COULD I TRUFFLE YOU FOR A MOMENT OF YOUR TIME? The word truffle immediately makes me think of decadence. From the naturally occurring mushroom-y truffle that is a costly, savory fungus to the delectable chocolate dessert confection more commonly associated with the term, both were originally foods of the wealthy only. The sweet, chocolate ganache versions were quite pricey as chocolate was a rare import and the savory, mushroom like truffle was a rare fungi, naturally growing on rotten logs that could only be sniffed out by specially trained pigs. 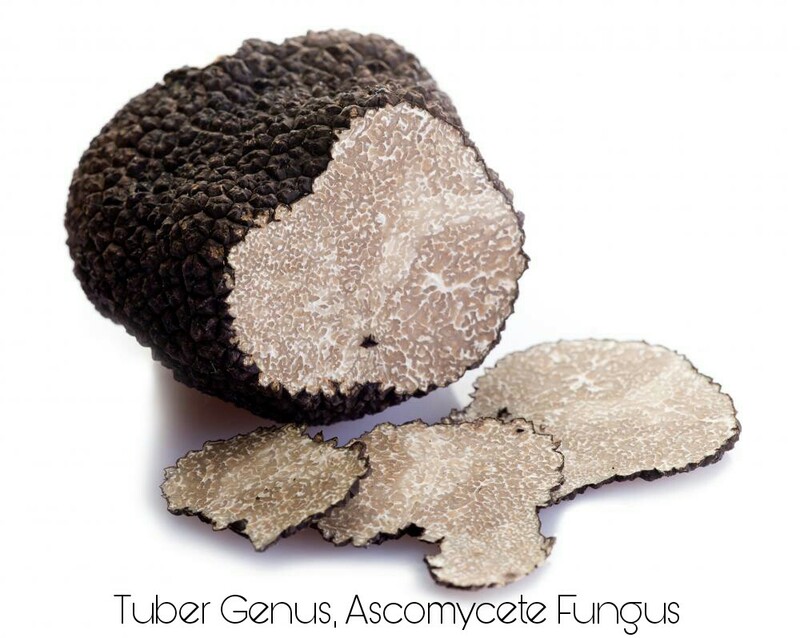 WHEN YOU THINK TRUFFLE ... I'm surprised by the number of chocolate truffle lovers who are unaware that this candy was named after a mushroom like savory fungus. But maybe I shouldn't be, the price of the savory truffle (Tuber Genus, Ascomycete Fungus) is astronomical, sometimes coming in at $3,000 a pound or more. Not really something that can be picked up at your local A&P, so maybe it's understandable that when most folks think of truffles they first think of the more available dessert variety. But when you look at the original, classic chocolate truffle, a rolled ball of chocolate ganache covered in a fine cocoa dust, you can see the resemblance. 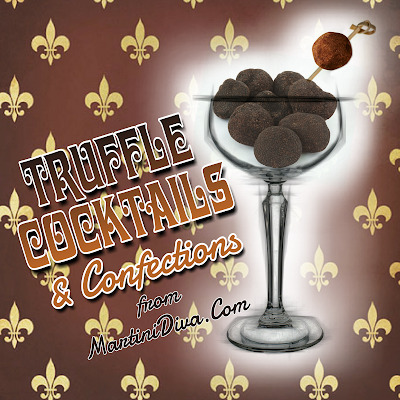 IT'S TRUFFLESOME ... As for who invented the chocolate variety, some people credit August Escoffier in the 1930s while others claim it was Louis Dufour in 1895. I tend to believe it was Louis Dafour, as Antoine Dafour, family relationship to Louis unknown, took the recipe to Prestat, the oldest confectionery in London, and started selling "Truffles" there in 1902. Plus, the earliest mention of chocolate truffles in print is in Rigby's Reliable Candy Teacher, 19th edition published in 1920. Both these dates are prior to the purported Escoffier invention/discovery date. 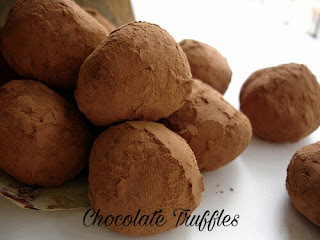 The traditional chocolate truffle was chocolate ganache rolled in cocoa powder. 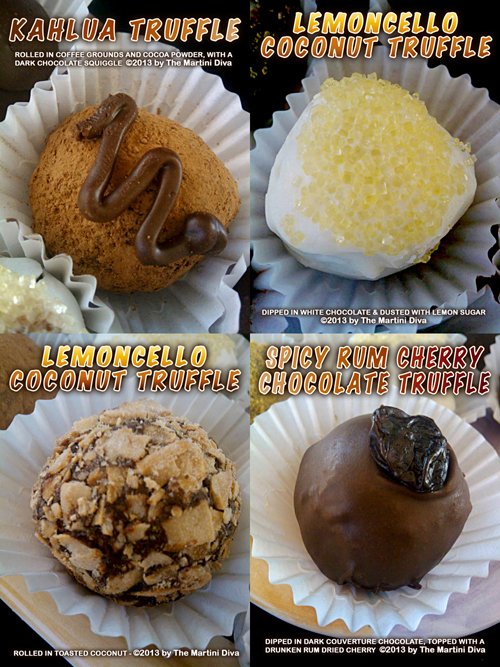 Modern chocolate truffles are also enrobed in chocolate, often with additional accents. Below you will find mostly recipes inspired by the sweet truffle but I couldn't leave our at least one perfect, savory black truffle cocktail tribute. National Truffle Day is May 2nd.